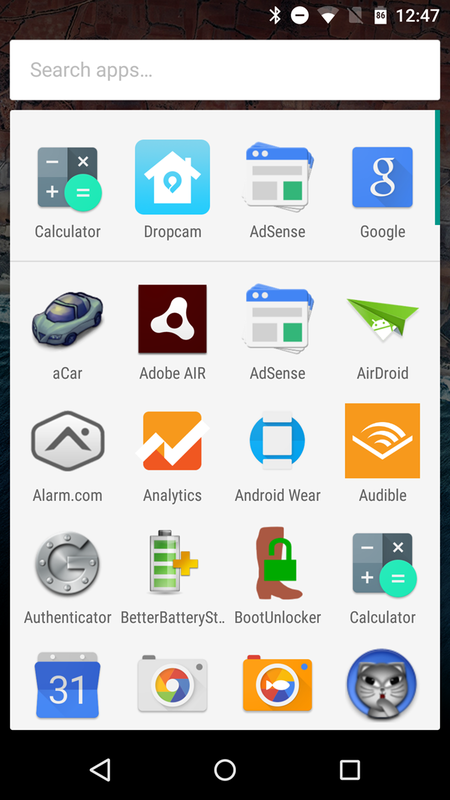 Google continues to tweak Android 6.0's visual interface with the latest Developer Preview, in ways both big and small. 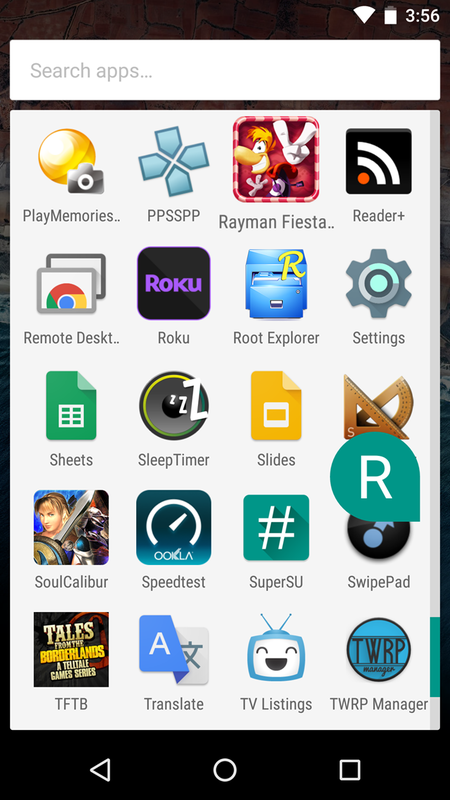 The default Google launcher has been seeing subtle changes since the M Preview was introduced, and the latest one is... interesting. 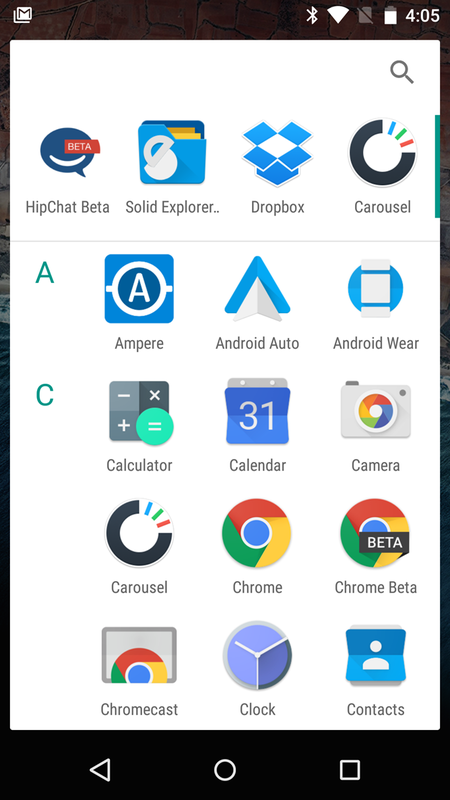 The Preview 3 version of the app drawer includes a little "pop" effect when scrolling, highlighting the first app that begins with each successive letter in the alphabet. It's a little hard to describe verbally - check out the video below from YouTube user Zaid Salem. 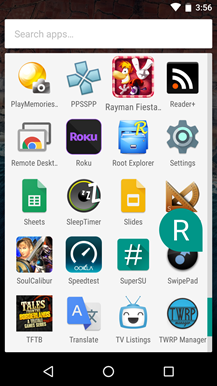 If you'll recall, Developer Preview 1 separated apps by beginning a new drawer row for each new letter of the alphabet. Preview 2 got rid of this behavior, but added the ability to scroll through with little highlights added to the scrollbar for each alphabetical section. That behavior is preserved in Preview 3, with the "pop" effect added on. The effect, and the slightly "sticky" lock when scrolling to a new letter, is only visible when scrolling with your finger on the bar (as opposed to merely sliding your finger up or down in the larger app area). 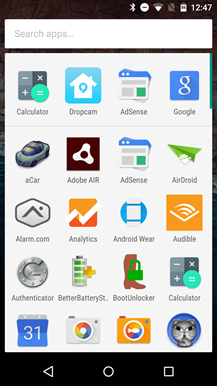 Left: Android M Developer Preview 1. Center: Preview 2. Right: Preview 3. 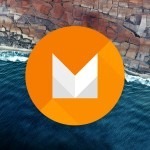 Developer Preview 3 is the last one we'll get before Marshmallow hits sometime later this year, so there's a decent chance that this Google Now launcher behavior will remain in the final version. Then again, it's also possible that Google will simply revert to the more conventional behavior that's visible in the version on the Play Store right now.